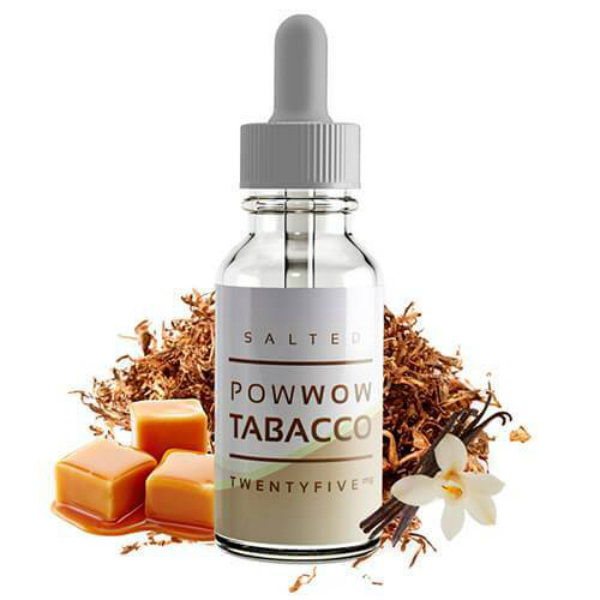 Salt Drops Salted Pow Wow Tobacco nicotine salt based e-liquid mixes rich tobacco flavor with hints of sweet caramel and vanilla dessert. Most vapers will agree that it is always a good idea to add a bit of sweetie to tobacco flavor e-juice. Salt Drops Salted Pow Wow Tobacco nicotine salt based e-liquid is a nice example. 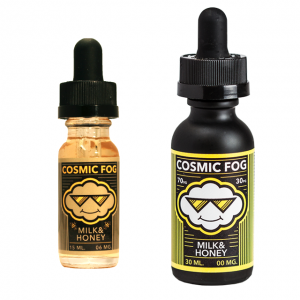 It mixes rich tobacco flavor with hints of sweet caramel and vanilla dessert. So with every puff, you will enjoy not only delicious tobacco flavor but also feel the sweetness that makes it taste more delightful. In addition, two nicotine strengthens are available for your choice. 25mg and 50mg. Pow Wow Tobacco nicotine salt infused e-juice is suitable for pod mods and other devices with low output. On the market, you can find it in a 30ml bottle.